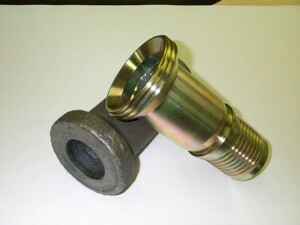 Henry Williams has been forging and supplying a range of connectors for use in the North Sea offshore rigs. Manufactured from European sourced alloy steel and certified tube, the heavy duty connectors comply and conform to BS EN ISO 9001:2008 accreditations and testings for use in the oil and gas sectors. Once the complex forging has been produced our CNC turning department finish machine the components from a one piece forging minimising material, lead-time and production costs for our customers. 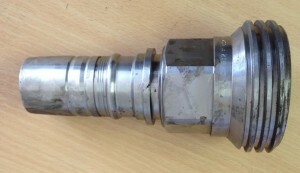 Not only can we forge and machine your connectors but also fabricate, apply surface coatings and even operate Kan Ban type systems making sure your every requirement is covered. Our hammer and tooling capability and capacity enable us to forge a variety of connector sizes from small production runs to large monthly call off orders and offer component weights from 1Kg to approximately 80 kg depending on material and complexity. Our hammers include: a range from 1 to 3 tonne drop hammers; a 2 tonne hydraulically powered hammer; plus a recently installed 4 tonne air powered hammer. A range of wide ram trimming presses and hydraulic pre-forming presses complement these along with modern gas fired furnaces and two induction heaters.